This follows on from Part 1. The title of chapter 1 is ‘Street Epistemology’ and it outlines the main aims of the book. 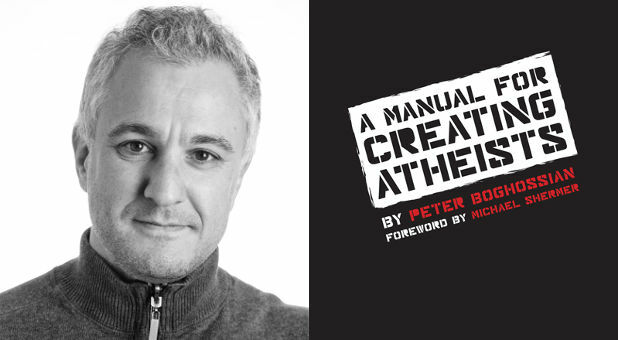 Boghossian says his aim is to create a generation of ‘Street Epistemologists’ who have the tools to go to the streets, pubs, prisons, churches, schools and community in general – anywhere there are theists (I assume that’s what he means by “the faithful”? although it could include non-theistic religions such as Buddhism too) in a mission to get them to “abandon faith and embrace reason” [Loc.181]. Boghossian says that these tools come directly from him having over two decades of experience of doing exactly this. At this stage of the book I confess I want to be one of these ‘Street Epistemologists’ myself! There’s not much on that list I don’t aspire to myself and even though I might not be able to be the perfect model of such a modern-day Socrates I would be willing to give it a jolly good try! Even though Boghossian has not mentioned him by name yet, I am strongly reminded of the bold doubter at the beginning of Descartes’ Meditations. Those of you who have read it will recall the bold, courageous spirit of epistemological doubt at the beginning of the book. We encounter a philosopher who is so committed to truth and to eradicating deception from her opinions that she vows to doubt all that can possibly be doubted in order to construct certain knowledge based on strong foundations. Reading Boghossian reminded me of how it felt reading Descartes in my undergraduate years and why philosophy had such an alluring appeal. For those who are worried of talk of questioning ‘faith’ and ‘religion’ it’s worth remembering that Descartes (himself a theist) also embraced this spirit and considered it worth questioning everything he possibly could even to the point of questioning whether God himself existed. In fact, the scepticism of Descartes has often been termed ‘hyperbolic scepticism’ because the extent of the scepticism is far beyond what most sceptics can manage to aspire to. It’s worth noting that this sceptical approach to knowledge comes from a philosopher within the Christian tradition. I was with Boghossian up until this point. I have no problem with being asked to be rational, sceptical and courageous in the face of the evidence but suddenly I feel like I am being told by an authority where that Socratic journey should have taken me and I feel somewhat disappointed that I’m about to be excluded from what sounded like quite an exciting journey. I was ready to be sceptical and rational but have just been handed a set of answers (some might even possibly say a ‘worldview’) that I am to provide to my enquiring audience. That this journey is one into atheistic humanism becomes clearer as this chapter ends. Boghossian is, of course, referring to Richard Dawkins, Sam Harris, Daniel Dennett and Christopher Hitchens. In fact, all four of the ‘horsemen’ have done more than identify problems – they have all invested a great deal of time suggesting what route should be taken instead. It is true that they have sometimes differed in their opinions on what the direction is but they have nonetheless been concerned to do so. Boghossian does not explain why it is he rejects their vision but he does finish the chapter by telling the reader that they are to become one of the next generation of horsemen. At least now I know I am not the only one being marginalized from the worldview Boghossian wishes to profess since I know I’m about to be cast aside with those who think the four horsemen have provided a good roadmap. It might even be the case that Boghossian is also casting aside all the positive recommendations made by the Four Horsemen. How much that is the case we cannot know since Boghossian is merely discounting them as offering anything of worth. I finish the end of chapter one a little confused over the direction Boghossian is heading in but I still remain open to being challenged and interested to hear about the different direction he wishes to take his new group of sceptics. See you when we encounter chapter 2! 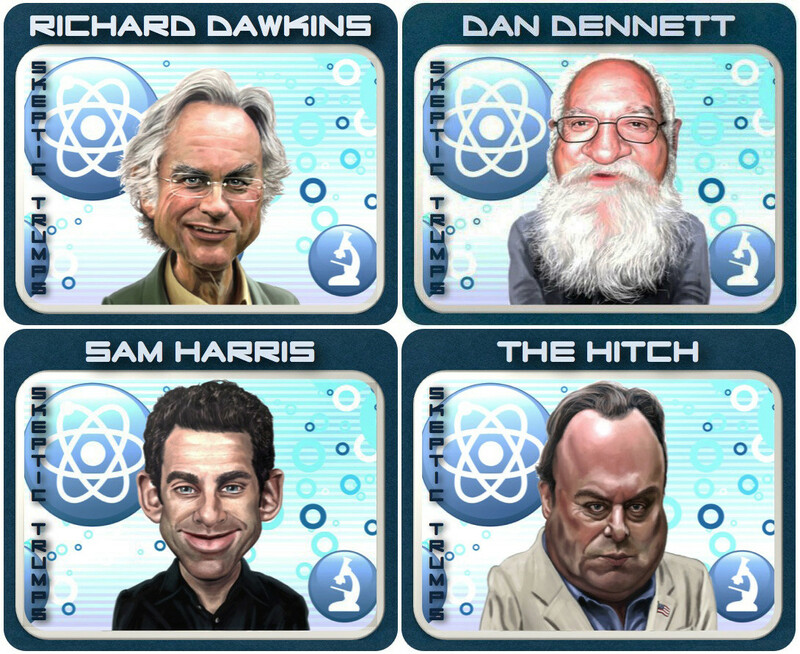 This entry was posted in Atheism, Atheist apologists, Street Epistemology and tagged Descartes, epistemology, Peter Boghossian, Richard Dawkins, Sam Harris, scepticism. Bookmark the permalink.